I feel like I’m still processing that Thanksgiving is over, and it already feels like Hanukkah is right around the corner! Now, I know sufganiyot, or jelly donuts, are the traditional Hanukkah treat (I learned this from a Sesame Street Hanukkah video I used to watch on VHS as a kid), but my tiny apartment kitchen doesn’t allow for frying. So what could I make that is Hanukkah themed, but also delicious? 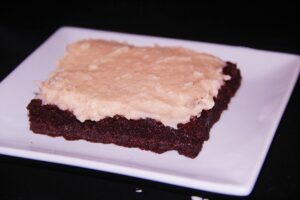 I’ve been wanting to do a red wine brownie recipe for awhile now. 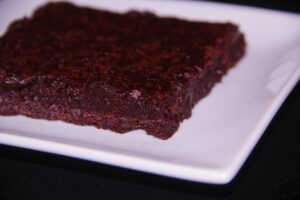 And winter seems like a good time for red wine brownies – they just seems so comforting and cozy! Why not give this idea a go for Hanukkah using none other than good ol’ Manischewitz?! 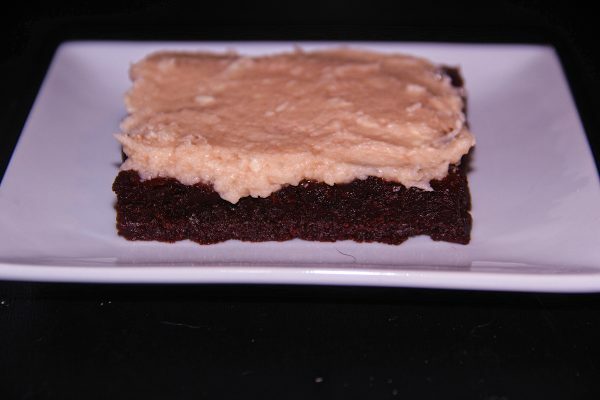 So I did just that, but I didn’t think the Maneschewitz flavor was powerful enough, so I enhanced it with a Manischewitz frosting. These are a super fun and super unique Hanukkah recipe. And they are SUPER easy to boot! Just one bowl and a wooden spoon is all you need make this simple recipe. As you know, that’s how I like my recipes! Super easy and all mixed in one bowl. No mixer needed! So eat your latkes and then pour yourself a glass of Manischewitz, and then pour that Manischewitz right into your brownie mix! Preheat the oven to 350 F. Line a 9x13 pan with non-stick foil. In a large mixing bowl, combine cocoa powder, wine, butter, and oil. Mix in eggs and egg yolks. Add in flour and salt until combined. 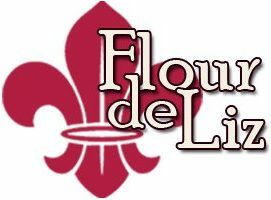 Pour the mixture into the lined pan and bake for 20-30 minutes, until a toothpick inserted into the center comes out clean. Add in wine and powdered sugar and beat till desired consistency. If too thick, add wine. If too thin, add powdered sugar. I need to go buy some wine to make these tonight! You mean you don’t just have bottles of Manischewitz around the house?! Let me know what you think!